The Larson Senza 206 is riding high as the top seller in the Larson lineup. One reason for that is that it’s hard not to appreciate the looks. 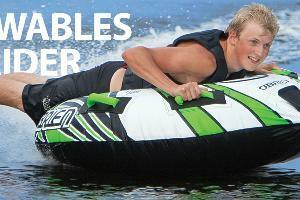 1 Person Tube Rental; comes with rope and tube for 1 rider. Valid Credit Card required at time of pickup, 500$ refundable damage deposit.